Our streamlined process allows us to not have to charge fees for things other companies do, we believe that if it's our job why should we charge extra. We don't feel property owners seeking management for their properties should be gouged every time something comes up. Does the monthly fee go up? We strive to keep our prices low, so each agreement is locked at a low fixed price. If I have you find me a tenant for my property can I manage it myself or have someone else manage it? Absolutely, we offer our Rental Locator Service just for that purpose. We can work with anyone, self managed properties, management companies, even apartment communities. You just pay a small one time fee. If your property sits vacant for two more weeks you would have already covered that fee. 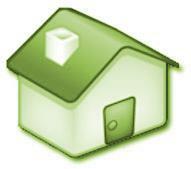 Yes, we offer a 15% discount for owners who have 20 or more properties managed by us or placed by locator our service. I already have a tenant in my property, what now? We would then only take over the complete management of the property for the low monthly service fee. We send accounting statements monthly, and payments are initiated on the 15 of each month. Once payments are initiated through our system, depending on your location, your check should then be received within 5 days. What if my tenant is evicted for non-payment, do I have to pay another commission when another tenant is located? No if we place a defaulting tenant in your property, we locate a new tenant at no additional charge. This our commitment to you to find a qualified paying tenant. How do you determine the amount of rent that will be charged for my property? Our staff of professionals will use comparable rental values in the market area to determine the maximum amount that can be charged for your property.